Am I allowed to be annoyed? I have been on a mission for the last few months cleaning out our wardrobes every weekend. I am getting rid of anything that I can’t wear or haven’t worn for a while. Same with AS and Chhori’s clothes too. That means heaps and heaps of clothes and shoes are going out. I have a few pieces that have I emotional attachment to but I figure there is no point keeping things just for their sentimental value. I used to take all of my clothes to charity but I read that most of the donated clothes end up in a bin. So I decided to donate in a different way. I have been putting them on Gumtree (similar to Craig list) for free, a bag at a time. I am always happy when someone responds because sometimes I wonder who will take them. So far I have had a great experience giving as people message me and we organise a time and they come and pick up the bags from my place. I have given away heaps of shoes and dresses. I have also given away carpets and kitchen stuffs. Anyway, it was going so well until recently. I had a few people who wanted the stuff and some even telling me their sad story. Anyway, we arranged a time for pick up but just before the appointed time, they texted me that they are not able to pick up the clothes for some reason. I can understand things change so I agreed for another time. But the thing is after many rearrangements, they don’t message anything and didn’t show up at the agreed time. To make matters worst, they don’t respond to my messages. I sometimes wonder why anyone would stand somebody up who is giving them something for free. If you don’t need it or change your mind, at least have the courtesy to message and let them know. I had this experience from three different individuals recently which has put me off a little about the whole process. Sometime it makes me a little annoyed as well. Am I allowed to be annoyed or am I over reacting? Anyway if they fail to respond me, I am giving it to the next person in line and I am happy to see so many of them messaging me. It is just annoying that someone will waste my time like this. 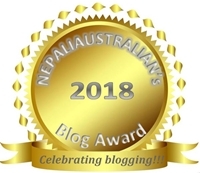 This entry was posted in Social Issue and tagged Australia, australian, australian nepali, baby, chhori, cleaning, clothes, extra clothes, give away, M from nepaliaustralian, mum, Nepal, Nepalese, Nepali, shoes, spring clean. Bookmark the permalink. Ofcourse its very well justifiable that you getting annoyed. You are doing a great karma helping needy ones, and i recommend not stop it just because few idiots decided to act irresponsibely. And its quite fair enough for u to get annoyed momentarily, but please just sweep the frustration out of u after certain time when u felt settled down and do continue doing great karma for sake of humanity. Please do not punish the really needy ones who would have really benefited, just because of idiotic actions of some miserable people. I been a silent visitor of ur blog for quite a while now…I specially would like to give u hearty thanks for those chapters in learning Newari, they had been quite helpful for me..as I learning Newari even though I ain’t Near, but my gf is. So in order to be able to talk to her family members, whom she holds most dear, I would love to be fluent in Newari and you been the tremendous help in that quest if mine. Thanks a lot M.. And good luck to ur AS and sweet, cute choir..
Onside note, you have also inspired me to restart my blog again, even though I had failed in my previous few attempts. I too work in IT and I actually do have lots of stuff that I can regarding software engineering and management topics. I am thinking of asking my gf to set up our own blog and ask her if she would be happy to collaborate with me in that side project , as she is computer engineer as well and in fact, at the moment we both are working in same project in office. Of course you’re allowed to be annoyed! That was a very impolite thing to do for those people, at least a sorry message would have worked. Some people can be incredibly inconsiderate. I no longer spend much time on clothes and shoes shopping, so I have a very small wardrobe. There was a time few years ago when I had so many clothes that I didn’t wear, so I cleaned up everything and donated them to a second hand store in Finland before moving to Poland with just one suitcase. Now I have some clothes and shoes that I want to donate. I will probably give it to some church here as they organize a lot of charity. I do not like clutter at all and empty space brings me peace and relaxation too 🙂 Good job on donating the clothes to someone who might need/use them! That was very impolite of those people* hehe. I usually donate clothes to a charity place here where they give those clothes to homeless people. I have personally volunteered there so I am sure it is reaching needy people. These are the people that you should donate to. The fact that they don’t show up means they don’t really need your stuff. * shakes head * don’t get annoyed” it’s not worth the aggravation. Happens all the time, unfortunately. I had 4 people come over for job interviews in the past two months, only to hear from them after the interview that they are actually not looking for jobs. What a waste of my time!